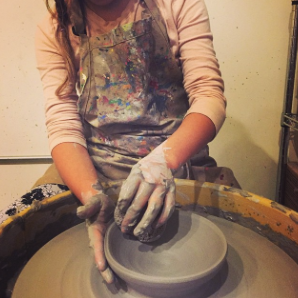 Experience the magic of the pottery wheel! We'll spend the week learning the basics of wheel throwing and advancing our skills with techniques such as altering our wheel thrown artwork. Class size is limited to 6 students--allowing each student to work on their own pottery wheel and at their own level. All pieces will be fired and glazed with dinnerware safe glazes, ready to fill your cabinets!